All private charters are $500/hr, minimum 7 hours. 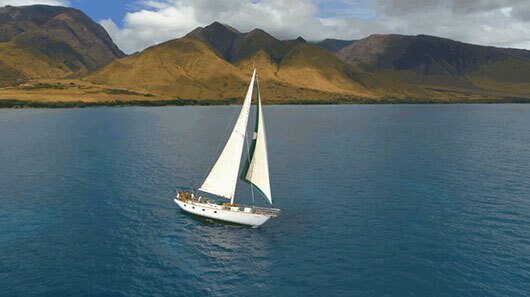 Set sail from Ma‘alaea Harbor on Maui for a full day of sailing, snorkeling, scuba, and fun in the sun aboard the Island Star. Anchor on the south side of the island in a remote, protected area. Snorkel and scuba on pristine coral reefs with an abundance of tropical fish, a variety of colorful corals and the endangered Green Sea Turtles. Our boats have stable boarding ladders for easy access and restroom to ensure passenger comfort. It provides plenty of room for divers and their equipment. We provide detailed briefings at every dive site. 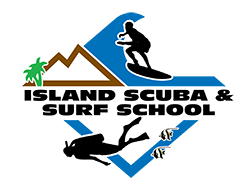 Guests are always welcome to accompany our experienced instructor/dive guides — we make certain that there are always enough guides to provide everyone with plenty of personal attention. During our sail, we will be in constant search for the ever playful Spinner Dolphins and Humpback Whales when they’re in season. The whales are seasonal visitors, arriving around the middle of December and remaining through the middle of May; if your trip occurs during these months, we will spend ample time observing these breathtaking giants. The full day gives us the extra time to snorkel a second or third reef. After a full day of sailing, snorkeling, scuba, chef prepared lunch and sunbathing on deck, we’ll return to the marina just in time for sunset at sea. Tubes, caverns, ledges and walls of lava make excellent backdrops for underwater photography and magnificent mazes for exploration. Reticulated butterfly fish, Gold rim surgeon fish and Flame angelfish are just a few varieties of the rare fish seen in Lanai’s waters.